How Much US Debt Does Saudi Arabia Own? Last month, Saudi foreign minister Adel al-Jubeir reportedly warned US lawmakers that Saudi Arabia would sell off "billions" in American assets if a new bill was passed into law in the United States. This bill, which has support from both Democrats and Republicans lawmakers, would allow victims of 9/11 and other terrorist attacks to sue foreign governments. A lawsuit filed against the Saudi Arabian government by victims and survivors of the 9/11 attacks was thrown out last year after it was ruled that the Saudi kingdom had sovereign immunity. The Saudi government has not taken too kindly to the idea that this bill might be passed into law. In fact, the government has already promised to retaliate if the bill receives President Obama's signature. By promising to sell off billions of dollars in US assets, the Saudi Kingdom is warning that they will try to land at least a body blow on the US economy. This is actually a bit humorous to consider, as the Saudi Arabian government has been trying to destroy the US shale oil industry for a few years by depressing the price of oil. When the US Treasury posts the numbers for foreign debt ownership, they group the "Oil Exporters" into one group. 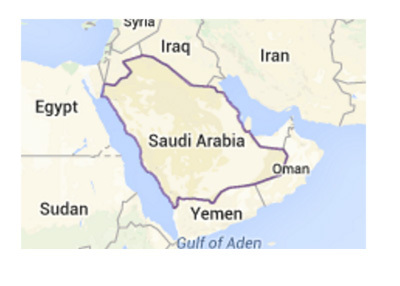 This group of countries includes the likes of Kuwait, Ecuador and Saudi Arabia. As of October 2015, the "Oil Exporters" reported $291.4 billion of US debt holdings. Given the list of the "Oil Exporters" - Ecuador, Venezuela, Bahrain, Iran, Iraq, Kuwait, Oman, Qatar, Saudi Arabia, UAE, Algeria, Gabon, Libya and Nigeria - you can safely assume that Saudi Arabia owns a healthy chunk of this total. While Saudi Arabia hitting the exits would certainly hurt, the US government would surely cope. The likes of Ireland, Switzerland and the United Kingdom have significantly increased their holdings of US debt over the past year, so I wouldn't be surprised if there remained a healthy demand for US debt, even without Saudi Arabia participating in the market. After all, given the current situation in the European Union, there aren't too many attractive places to park large sums of money right now. In the end, this will probably be a moot point for the time being as President Obama is reportedly against the bill being passed into law, citing economic risks.